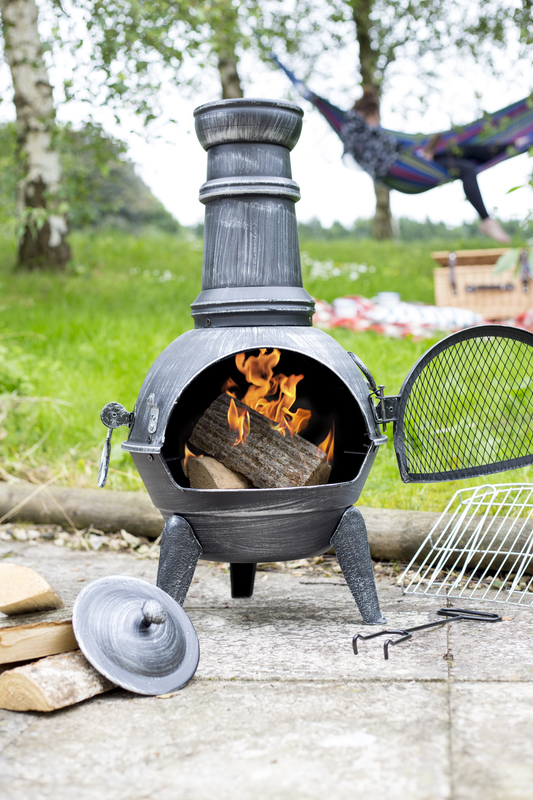 Steel with cast iron legs. 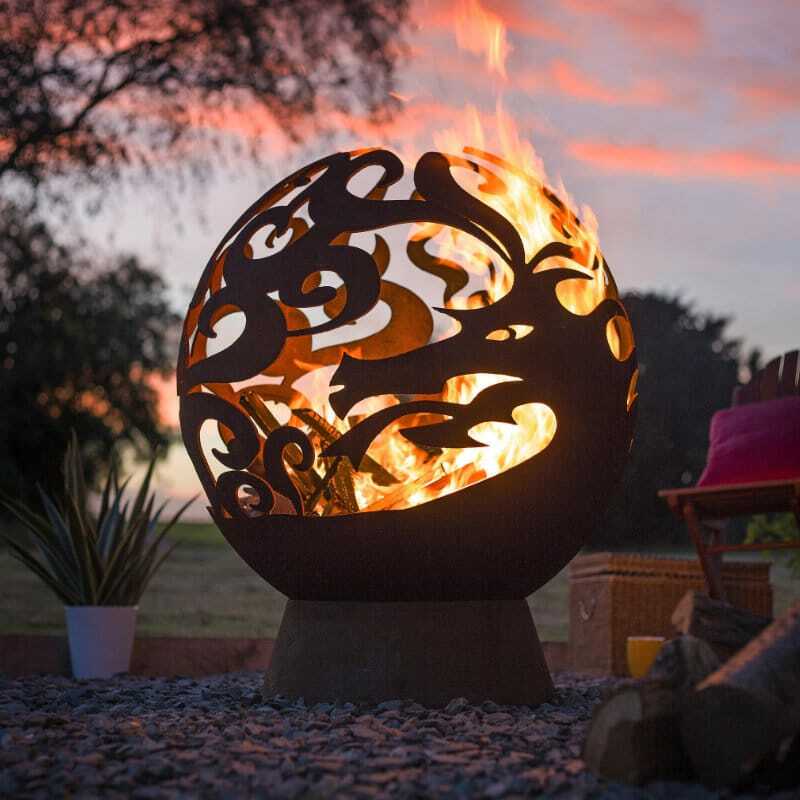 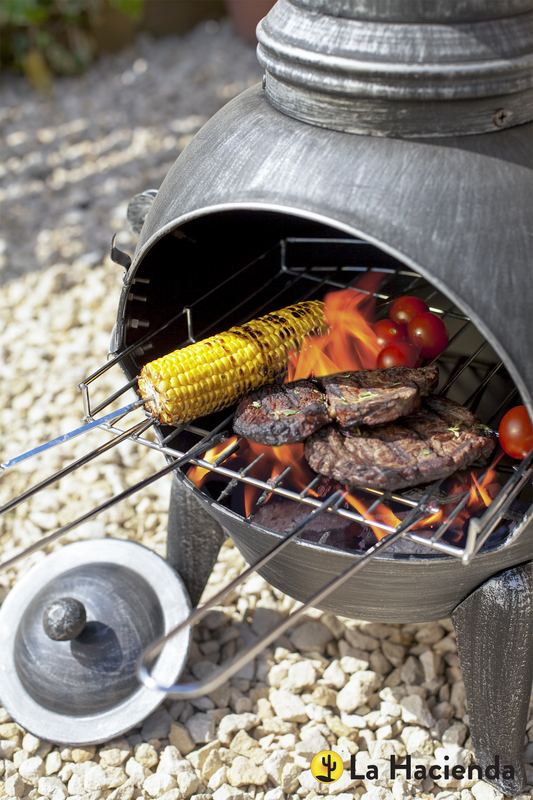 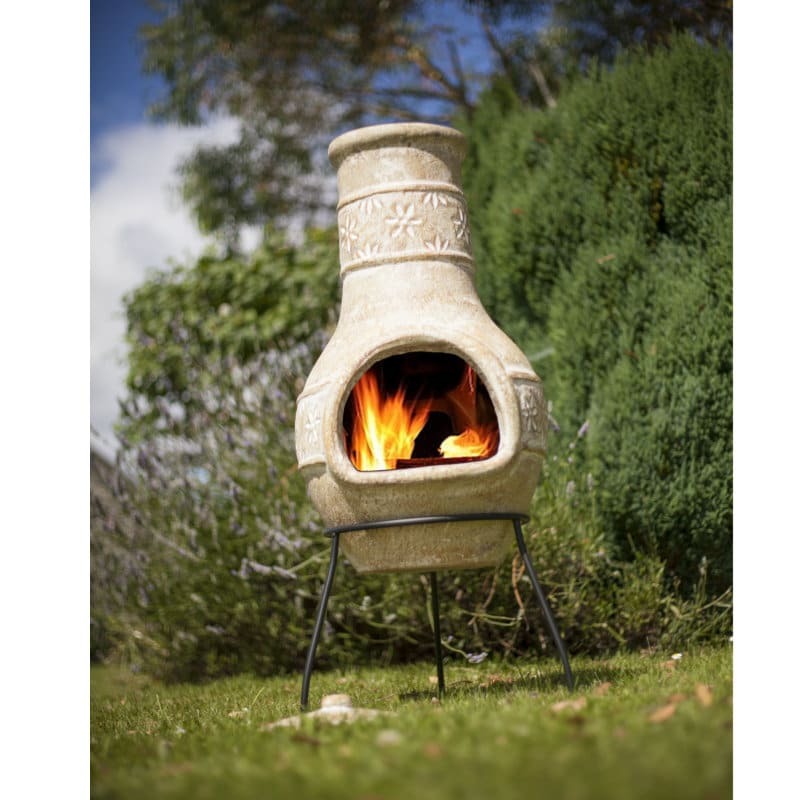 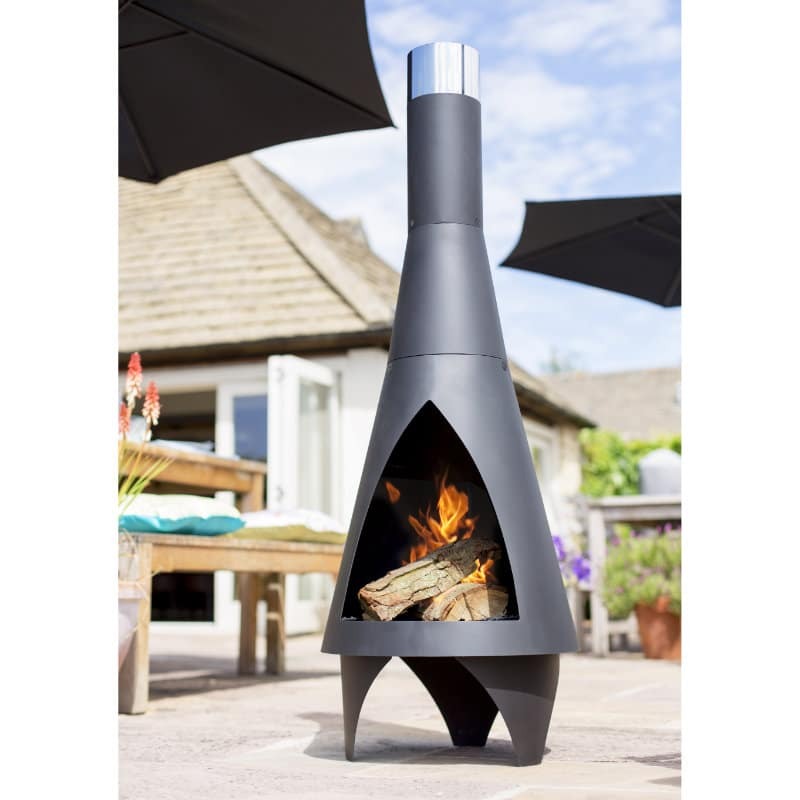 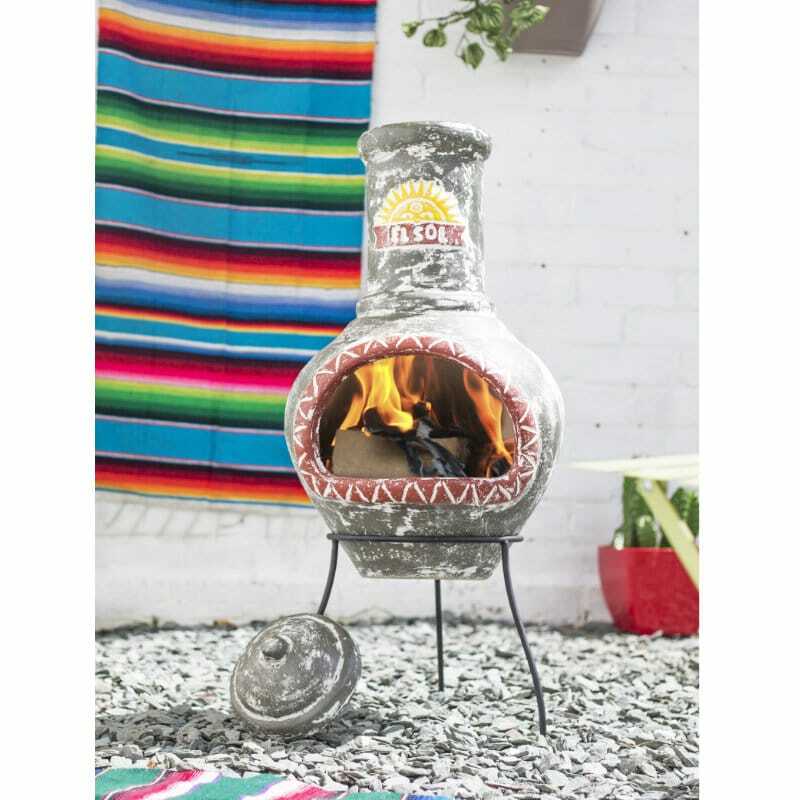 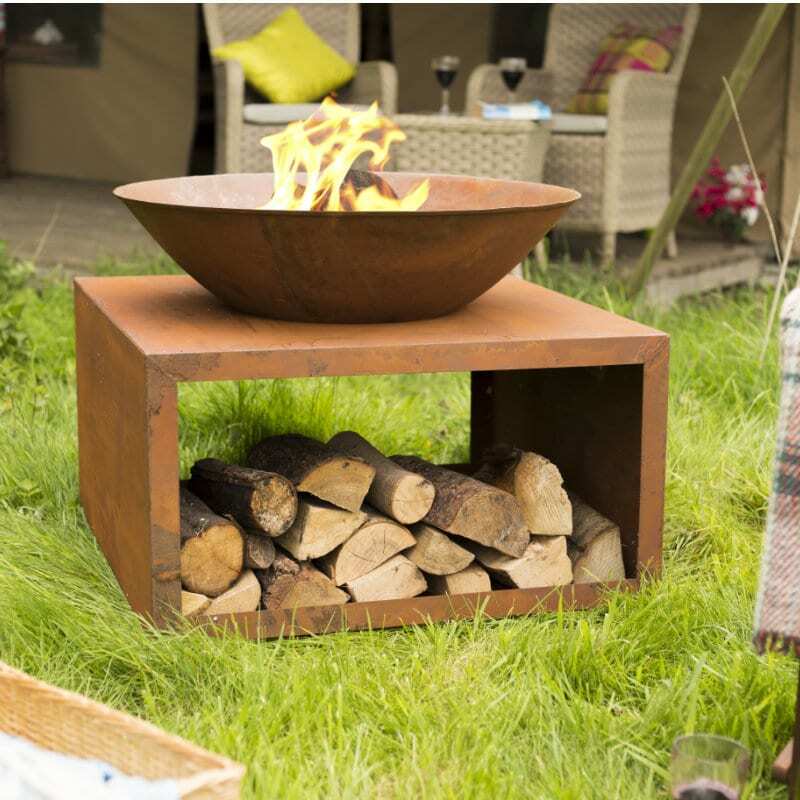 The Arriba Medium Chimenea with cooking grill allows you to cook up a storm for family and friends. 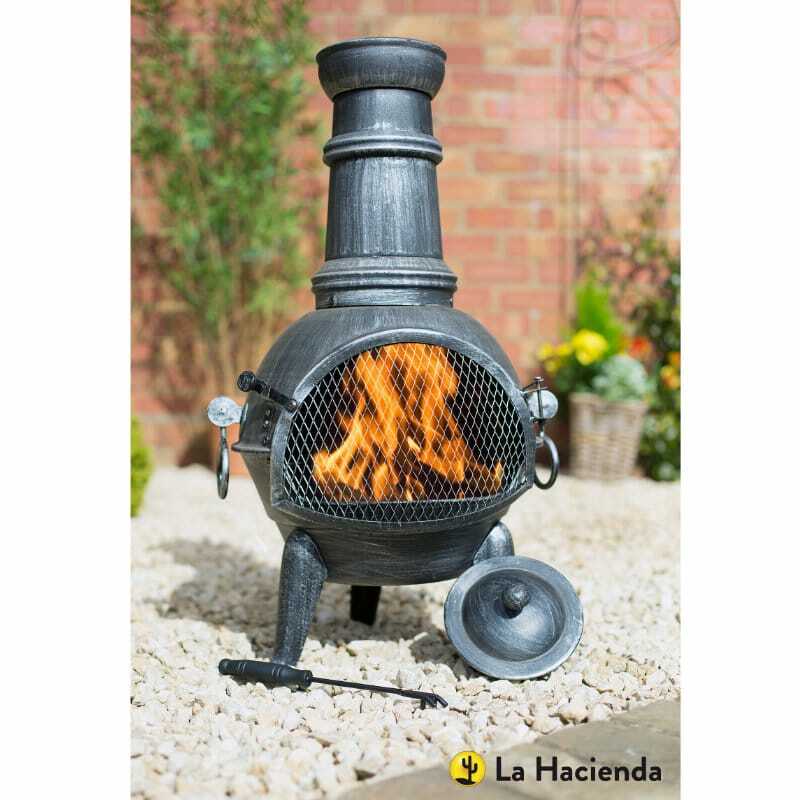 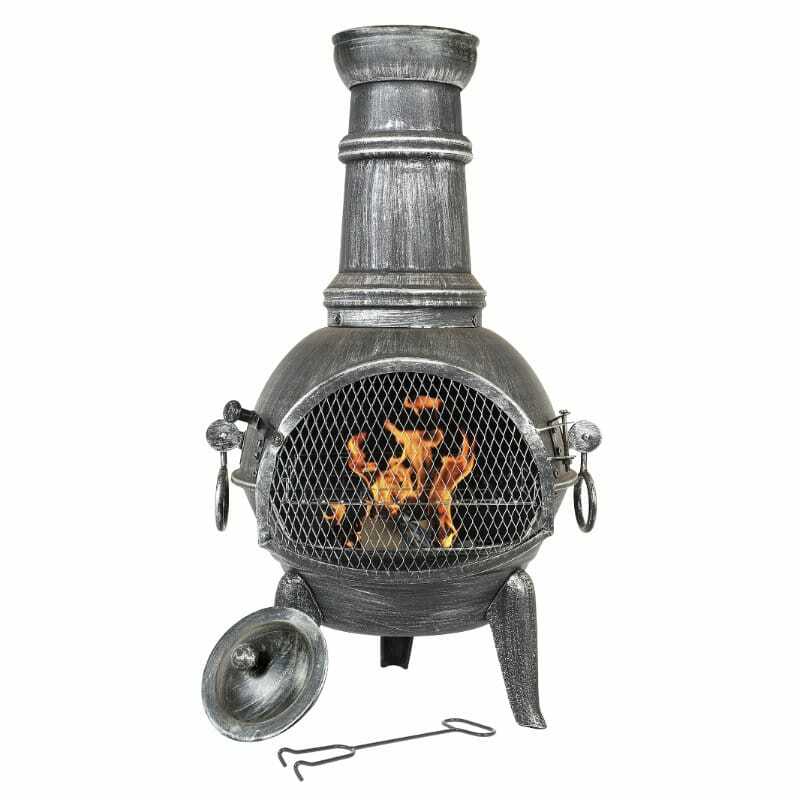 It features sturdy cast iron legs, a steel body and flue and an easy-to-use slide in chrome plated cooking grill, so there is no need for a separate barbecue. 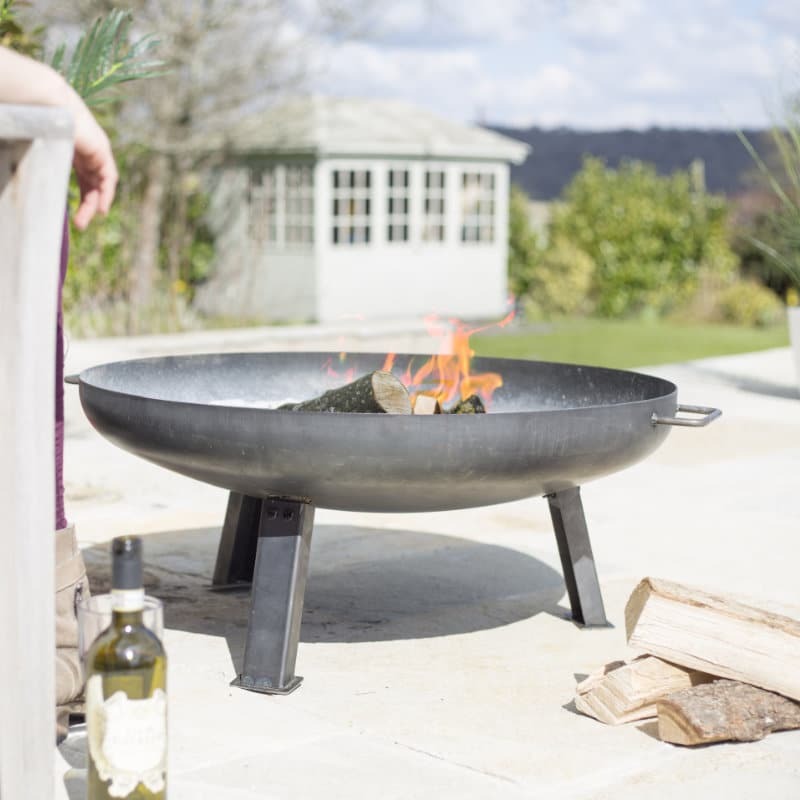 Enjoy easy barbecue style food before kicking back and enjoying the warmth of the open fire well into the night.